So, I have been meaning to post these pictures for you for a while, but have been forgetting to grab them from facebook, so here they are. 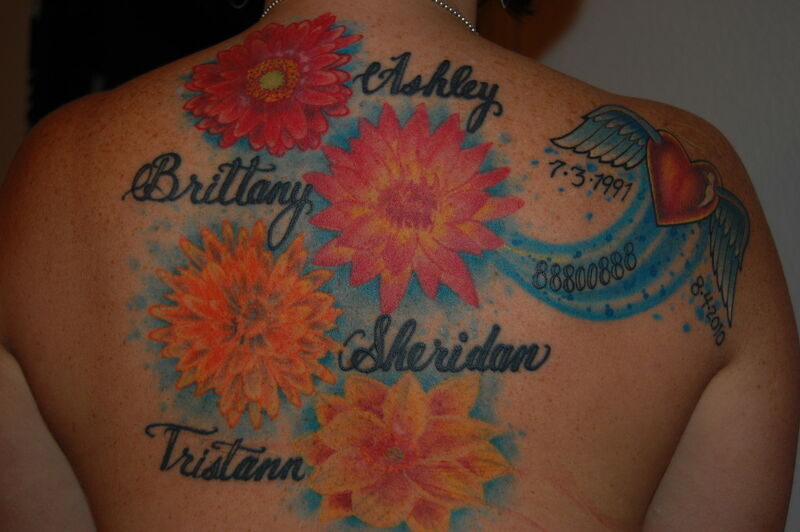 The first one is the one I had done in the summer of 2009, and then I had the additional one done attached to your flower after you left. 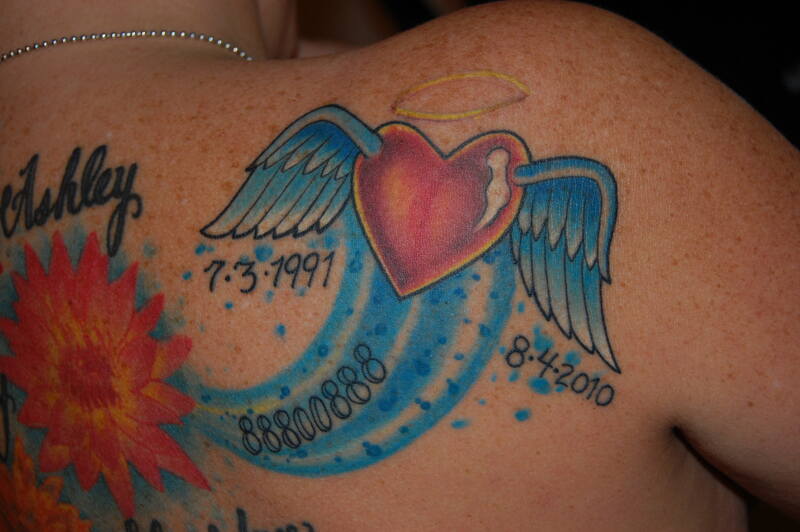 Unlike others, sissy and I had our tattoos when you were still with us! There is no need to explain to you what the 88800888 is in the blue streak. You were there….you know what it means. I love you sweetheart.